One of our regular customers had recently acquired a new store and wanted parking bays and disabled bays marked. 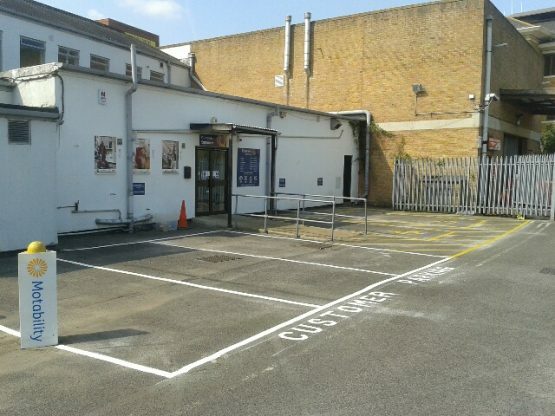 Our operatives measured the area and set out the parking bays following the approval of the client. 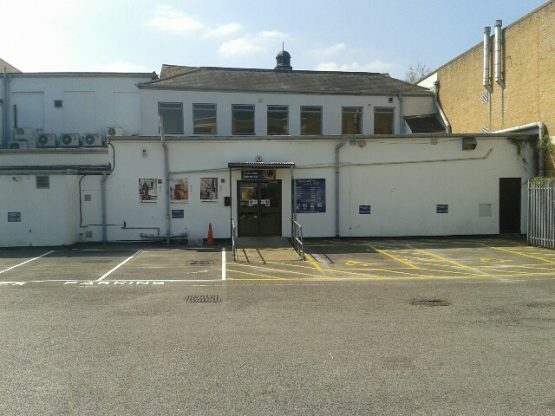 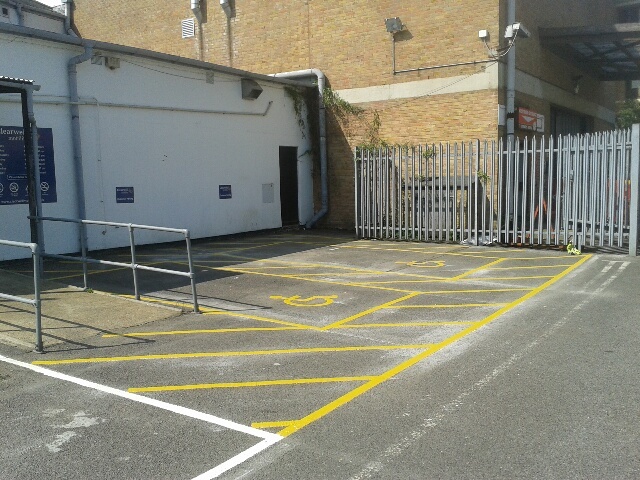 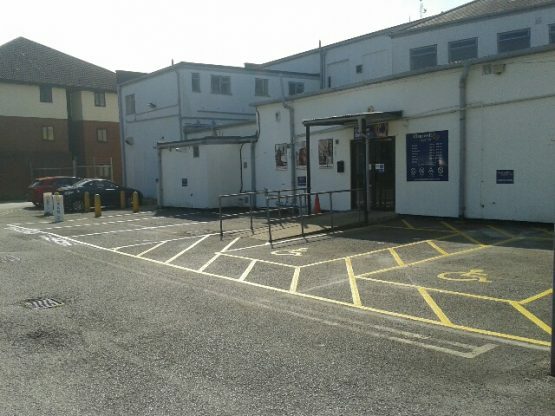 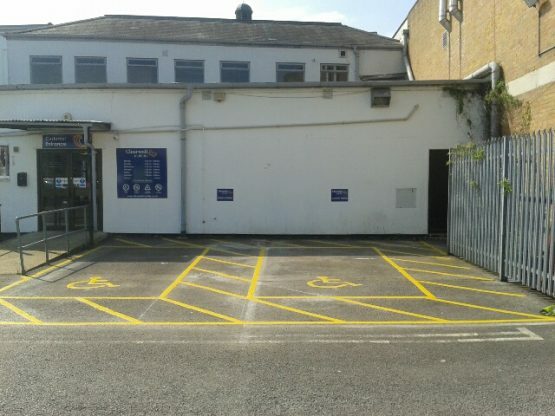 The parking bays were completed in white and the disabled bays were completed in yellow to distinguish the two types of bays. The chalk lines apparent on the photographs disappear within a short space of time. 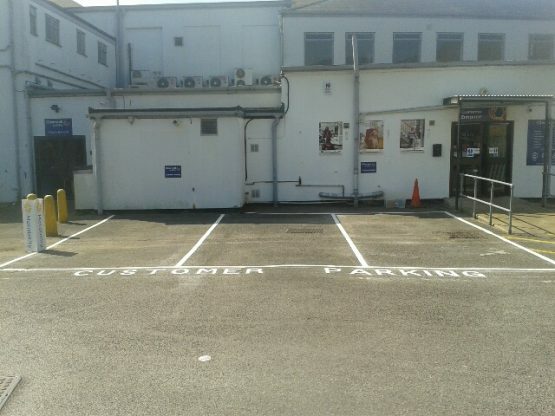 300mm Lettering was applied in front of the customer parking bays.